Award-winning Swiss Farm Touring & Camping Park in Henley has been popular with tourists since the 1940s when Londoners would holiday in traditional bell tents on its site near the River Thames. 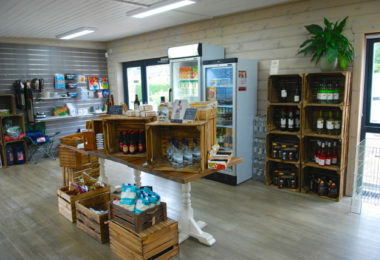 A 21st century addition, a brand-new reception building and shop, is proving a hit too and guaranteeing visitors a warm and efficient welcome. 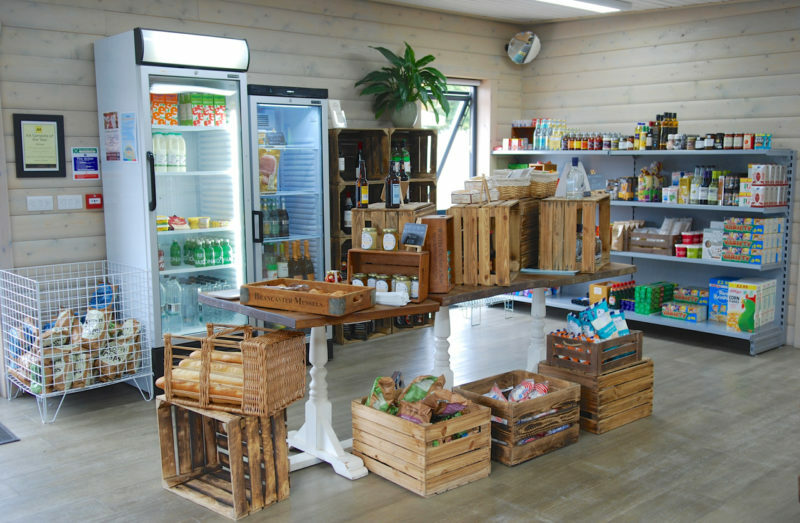 The contemporary solid log reception building boasts a spacious front desk area, two staff offices, store room, camping supplies and grocery shop, small kitchen and toilet facilities. 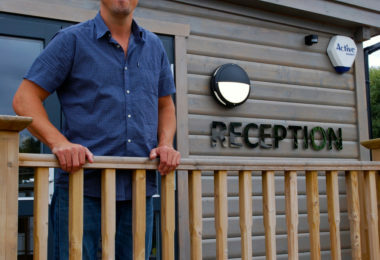 A far cry from the old set up which saw some reception staff working in a small conservatory and others in a cabin. “It was fine when the business was small but we’d outgrown it,” he says. 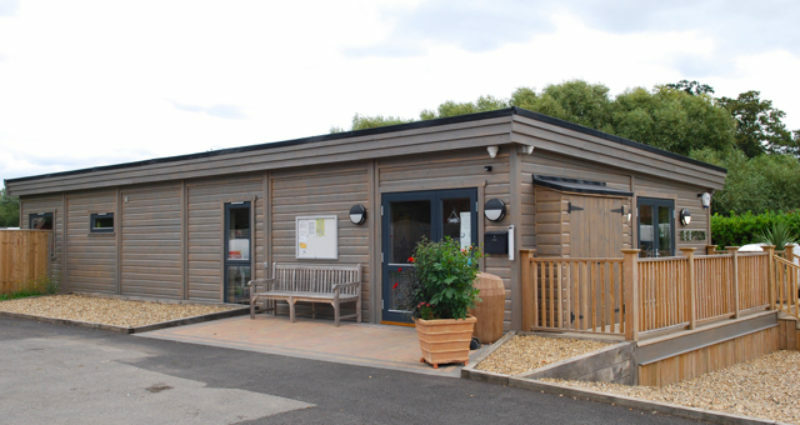 The park, a previous AA campsite of the year South East winner, is regularly full over the summer months and does brisk trade throughout the rest of the year. 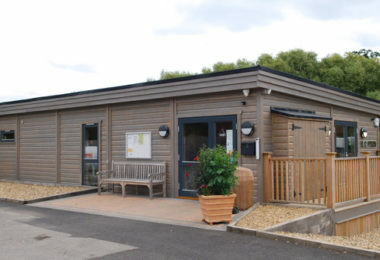 Joseph opted to have the building constructed on-site by Norwegian Log, but it could have been delivered in modular parts and then erected at the entrance to the 20-acre, family-run park – flexible solutions for a busy, commercial premises. 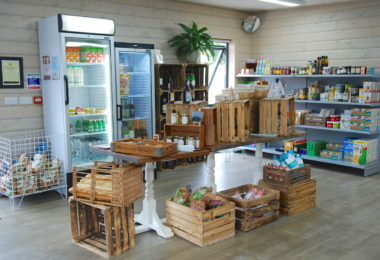 “I chose Norwegian Log as I love the contemporary design. 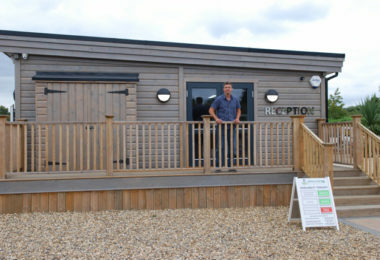 We have future developments planned over the next few years, so a new log reception building was the logical first step. Having the planning application carried out by Norwegian Log made perfect sense as they didn’t need to communicate with any third parties and I could just let them get on with it. 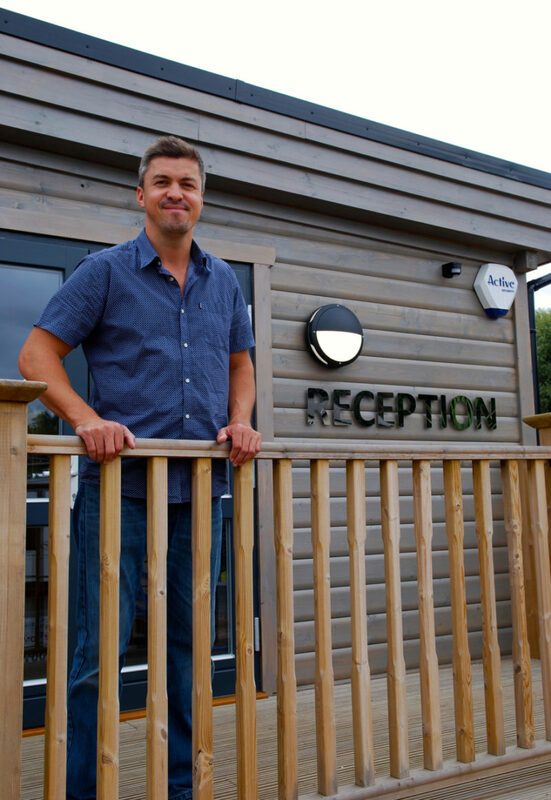 With a busy growing business to run, it was very helpful to be able to delegate this part of the process to Nick and his team,” he said. 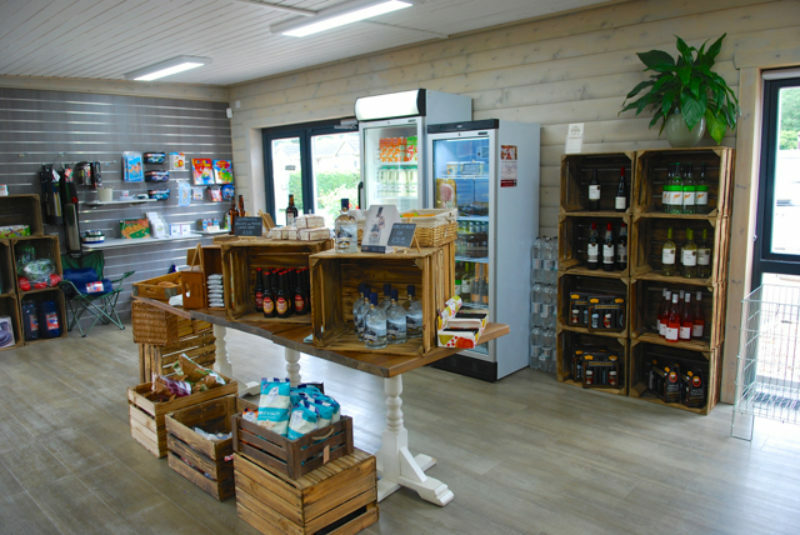 Customers can buy freshly baked bread, local produce and essential groceries in the shop area, as well as specialist accessories for tents, caravans and leisure. 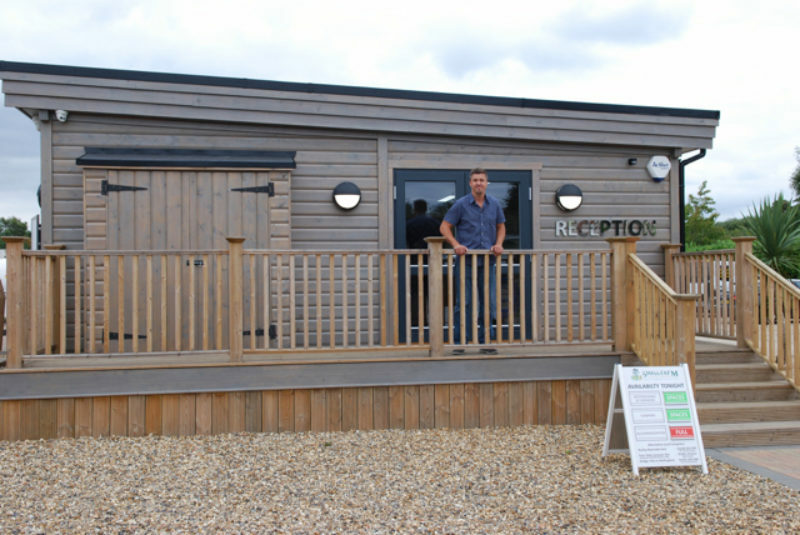 Two double access doors lead from the 15m x 7m log building onto the surrounding car parking areas. “This new building is just so much more welcoming and easier for everyone,” concludes Joseph.